I’m excited to share that after a year and a half spent being a part of the Thursday night writing circles with the InsideOUT Writers program, I’ve been selected by the team to serve as a writing facilitator for one of the organization’s new programs for juveniles inside. I’ll be dedicating two days out of the week for the program, in which I’ll be facilitating writing workshops alongside another instructor at a campsite for juveniles serving their sentences. 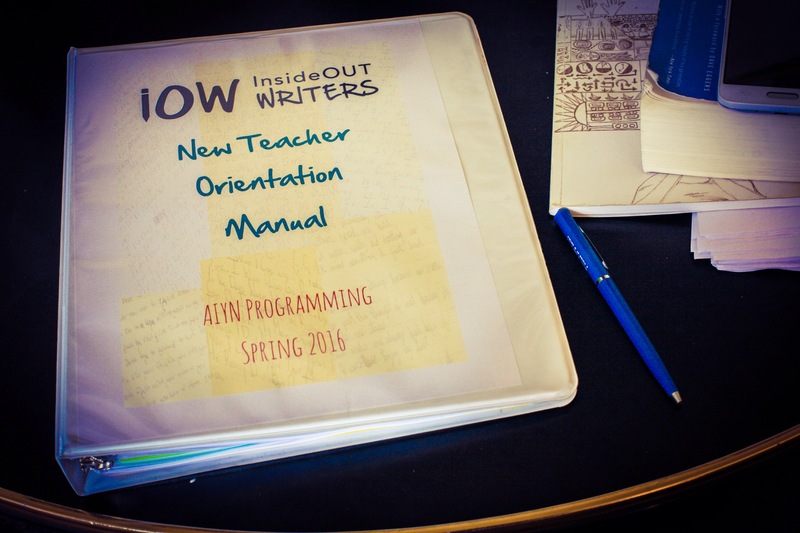 It’s a fantastic culmination of all the days and nights I’ve spent getting to know the workshop format and all its different possibilities at I.O.W., and I can’t wait to see what another generation of writers and I will develop throughout our time together. I trust it’s going to be a magical ride, as well as an unforgettable learning experience. As always, I’m grateful to celebrate the news with the people of J.T., and I’ll be back after taking some time to prepare for all the workshops ahead! In the meantime, I want to give a big thanks to everyone who’s supported The L.A. Storyteller so far, and assure them that only more great things are to come!